I had the good fortune to be able to design the Whistler Street Banners for 2007/8 (summer), 2010/11 (winter) and 2012/13 (winter). It was such a joy to see them hanging from their posts when I went to visit. 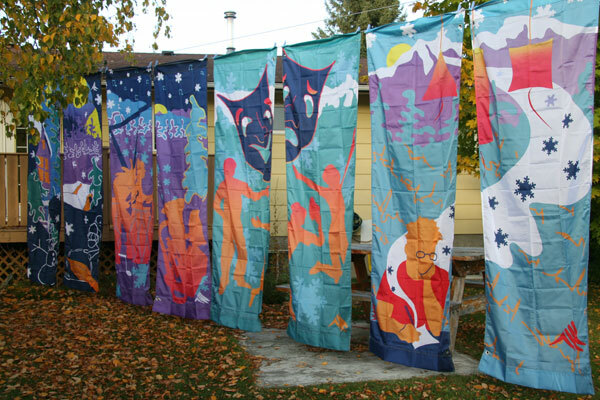 The only ones I missed seeing in situ were the 2012/13 ones, but, since I always received one set of completed banners, I was able to hang them on the clothesline in the backyard at the end of August, 2012 and admire them from up close.